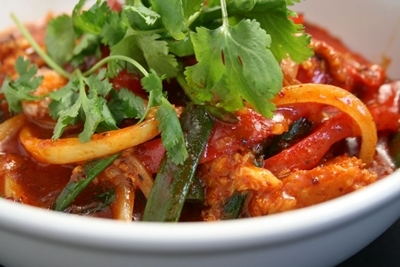 As we all know, curry a spicy and popular dish from Asia, widely cooked in India and Thailand. 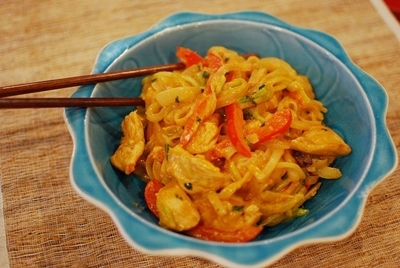 The Thai curry version has different ingredients in comparison to other Asian curries in general. You may expect to taste ginger, garlic, cumin, cilantro, red or green peppers, from a Thai curry paste. 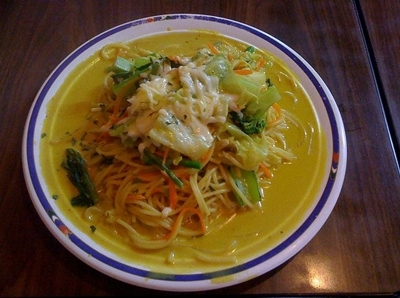 In South East Asia countries just like in Thailand, people would eat curry with rice or noodles. 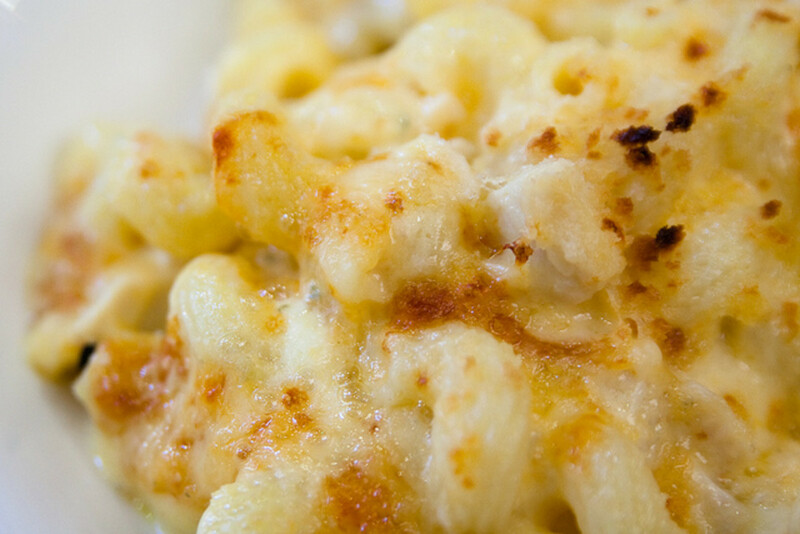 So when we speak of noodles we can relate it to pasta, because somehow they share similar characteristics. 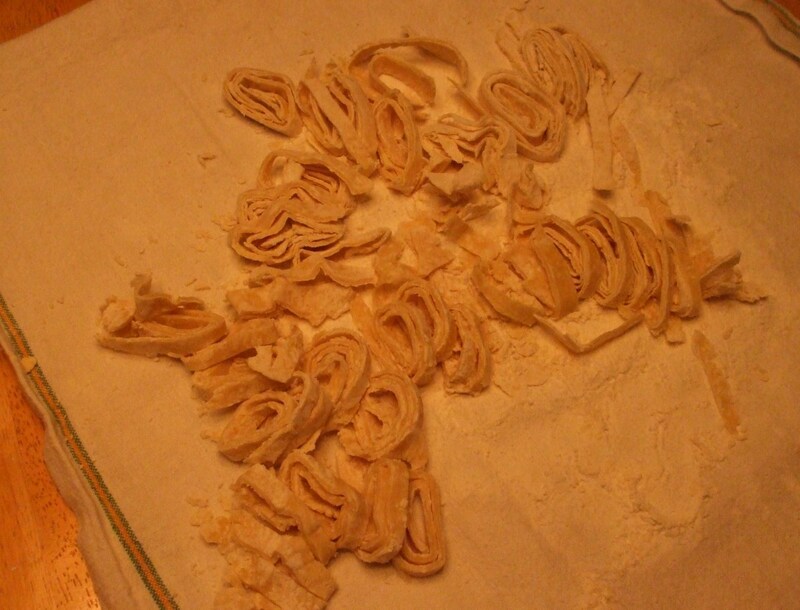 I bet you already have tried curry noodles before, and why don’t you create the pasta version of curry noodles? combining pasta with curry? Will it work? The only way to know how it taste is trying to simply cook it. I did try to cook it, and I think the taste is delicious and spicy. 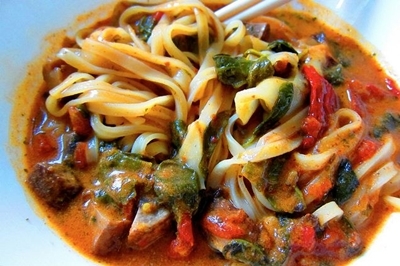 So combining western ingredients in pasta and Asian curry is not really such a bad idea after all. Boil water in a sauce pan or a large stock pot, add cooking oil, then add pasta, leave it for about 12 minutes or until perfectly cooked. Drain the pasta and let it to cool off. Preheat cooking oil on a frying pan, add the chopped garlic, and ginger, wait for a moment until they become fragrant. Add red curry paste and the lime leaves, and stir. Add the diced chicken meat into the pan, cook until the color change. 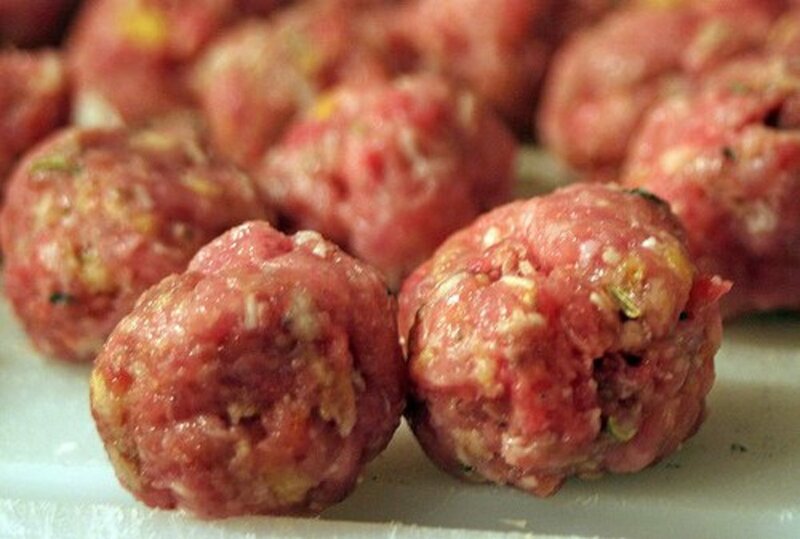 Keep tasting as you cook, so you will know when they are ready. Pour in the chicken stock and the coconut milk, stir for a while. Add the brown sugar, sugar, and the nam pla or the fish sauce. Keep stirring so the coconut milk will not get broken. Add the peas and cherry tomatoes, cook all together until boiling. Now add the pasta, stir for while. Place the dish into a large bowl, sprinkle more lime leaves on the top and ready to serve. The curry pasta recipes will have different taste depending on what type of curry paste you are using. For Thai curry paste in particular they are easily differentiated by its color. Basically there are three main types of Thai curry paste, and they are the green paste, red paste, and yellow paste. The green curry paste, basic ingredients would be lemongrass, green chilies, or jalapeño, shallot, purple onion. In addition to add more green to the color of the paste, chopped coriander or cumin are threw in. Of course there are a few more ingredients added such as fish sauce, shrimp paste, brown sugar and coconut milk to make the green paste curry. The red curry paste, basically the main ingredients are the same to those available in green curry paste, the only differences are those few ingredients that make up the red color to the paste. So in this case you may the red chilies or cayenne pepper, as well as tomato ketchup or tomato purée to make much stronger red color. Sometimes people would add chili powder to make it even hotter. The yellow curry paste, just like the green and red curry paste, the yellow color come from the basic ingredients that have natural yellow color in them. So instead of red or green chilies, yellow chilies are added into the mixture. Galangal or ginger also the key ingredients for making the yellow curry paste. Simple shrimp pasta recipe, easy to prepare and cook, and ingredients are widely available. Actually shrimp has cholesterol so if you have high level of cholesterol you might want to cut the amount you eat within a week. Other than that this shrimp pasta recipe is something for you and family should enjoy every once in a while. Basmati rice cooking, has been part of Indian culture for a very long time. This fragrance rice are so famous, because it taste and wonderful aroma, when cooked perfectly, you will get an ultimate taste that you will never forget. How to cook sirloin steak? Actually it is quite simple, everybody just can cook it. All we need is to follow basic simple steps, from choosing the right meat, using the right seasoning, follow the cooking method, and after cooked handling. It is fun, and absolutely taste delicious. What are you waiting for? Let us cook sirloin steak today. What you would know about simple recipes with bulgur wheat? Are there simple recipes with bulgur? There are a lot. But the most important part of having bulgur as breakfast is because its complete nutrient content it has. So try it for yourself and let me know. Deviled egg recipe, simple, tasty, and the variations are limitless. Instead of serving a plain, the same old taste of hard-boiled eggs, every once in a while you may want to try different deviled egg recipes, and mixing the egg yolk with a few other ingredients to create a new kind of dishes that everyone will love. sabrani44 , hello yes it is delicious, I've cooked several times, and I want it more. Thanks! Looks delicious, will definitely have to try it!